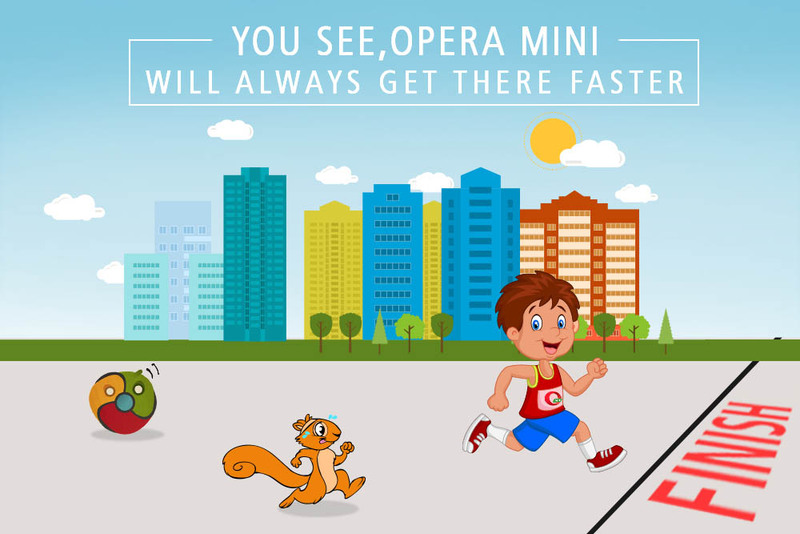 We at Opera have always strived towards offering a smooth and seamless web browsing experience to our users. 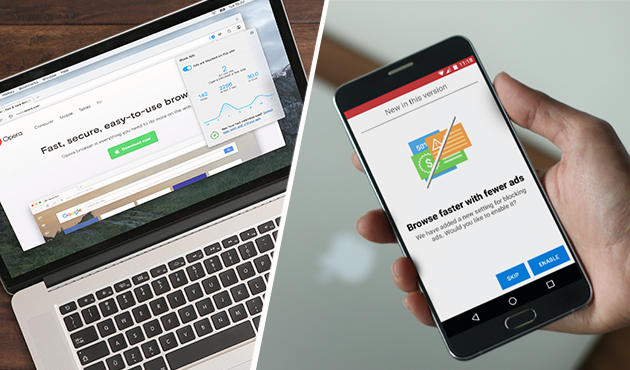 Today, we are excited to announce yet another development with the integration of an ad blocker in two of our web browsers – Opera Mini for Android and Opera for computers. 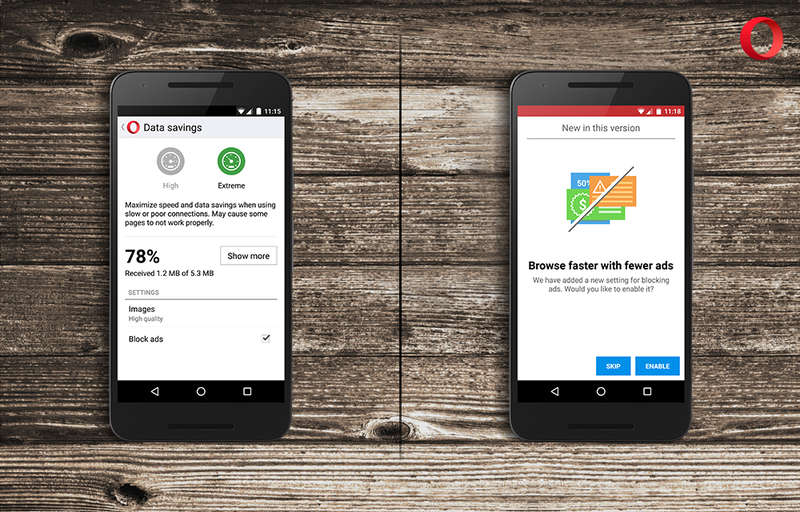 With the new ad blocker feature, Opera Mini can now load webpages 40% faster than with the ad blocker disabled. Now enjoy faster web browsing without having to view the clutter of online advertisements. An ad blocker is a much needed tool for your mobile device, where online ads take up precious screen space, slow down browsing, only causing frustration and adding to your data bill. 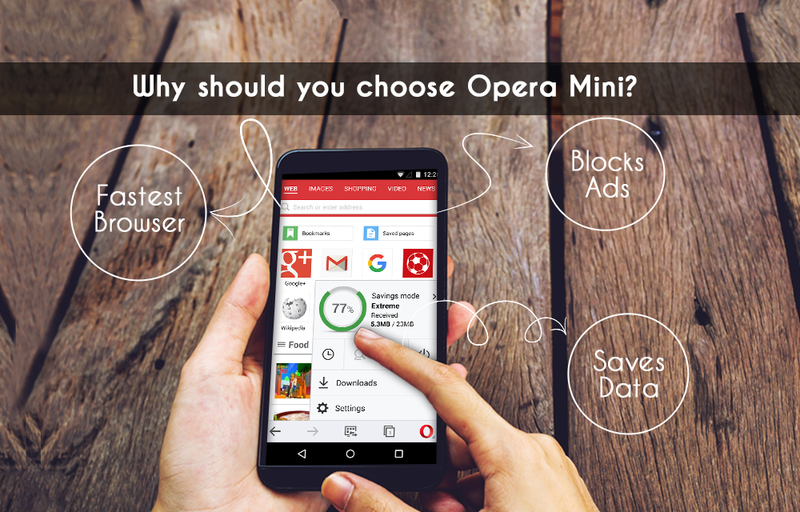 Opera is known for our compression technology which provides data savings; by blocking ads, Opera Mini users can achieve up to an additional 14% in data savings, making your browsing experience even more pocket friendly. 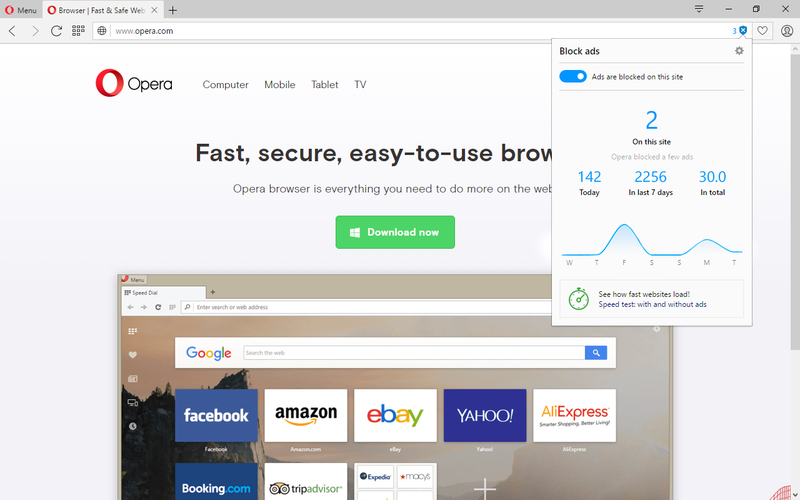 By integrating the ad blocker technology directly into the browser code, the new Opera for computers speeds up page loading by as much as 90% compared to browsing without ad blocking. It is also 45% faster compared to Google Chrome with third-party ad-blocking extensions installed. Under the “O” menu in Opera Mini, tap the data-savings summary. From there, simply toggle “Block ads” on and off. On Android, the ad blocker is available in both high- and extreme-savings modes. The integrated ad blocker can be enabled with a single click in settings. To deactivate it for a specific website, click the shield icon in the search and address bar and flip the switch. The dialog shows statistics on how many ads you’ve blocked overall, as well as on the current page. So, the next time you’re casually browsing through websites, do so without having to watch mind-numbing advertisements by using Opera Mini for Android and Opera for computers. Do try our new ad blocker feature today and give us your feedback in the comments section.